Poll: Who will win Eurovision 2014? Vote now! Poll: Who will win Eurovision 2014? Denmark’s Emmelie de Forest stormed to victory last year in Malmö and now it’s time to choose her successor. The bookies have their favourites—you can check out the latest odds here—but who do you want to see walk away with the microphone-shaped trophy at ESC 2014? Can Aram Mp3 live up to the hype? Will Sanna Nielsen “Undo” the favourite? Will Carl Espen’s “Silent Storm” blow away the competition? Will Dilara heat things up with “Start a Fire”? Can Paula Seling & Ovi bring home a “Miracle” for Romania? Will Molly Smitten-Downes secure an out of this world result with “Children of the Universe”? Will Cleo & Donatan prove that Slavic Girls deserve to come first? We’ve got a lot of questions, and we need y’all to help give us some answers. You can listen to all 37 Eurovision songs on our contestants page. Then vote in our poll below. You can vote for as many contestants as you like, but you can only vote ONE time. Be sure to check the box next to every act you want to support before submitting your votes. Voting ends on May 9 at 17:00 CET—just ahead of the Grand Final on May 1o. Thirty-seven songs. Thirty-seven countries. One winner. Start voting now! Who will win Eurovision 2014? The fun doesn’t have to end. You can also vote in our other Eurovision polls. This song is almost similary with the winner song!!!! You can hear how the winner song is similary with another older song!!!! I think winner is Aram Mp3…. Even if Greece won’t have the money to support the next eurovision song contest, watching the 2 semi finals, i prefer the song “Rise Up”. All of the other songs there weren’t anything special but the song of Freaky Fortune and Risky kidd had something special, the rhythm made me rise up unlike the other songs that some of them were just normal and all the others extremely boring. Go Greece you have the best song this year in my opinion! REMEMBER TO, VOTE SONG NUMBER 9 TONIGHT IN THE EUROVISION 2ND SEMI FINAL!! If you think Kasey Smith is beautiful or you like the song Heartbeat then… VOTE IRELAND TONIGHT! 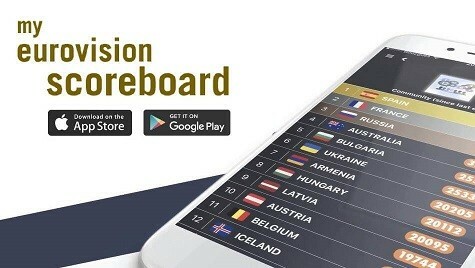 It’s free on the Eurovision app for android & apple so download & vote Ireland please! Azerbaycan. Mi golosuem za nego! my top 3 are .. Listening to this song the whole day already and it get’s more beautiful and beautiful every time you’re listening. Great job for the Dutch! Calm after the storm it is! Ukraine to win… & rightly so…it has all the ingredients to go “All the way” that’s a song as well you know…”All the way”. Don’t know what people like about Armenia that much, I mean, it’s a good song though. But 1st place? There are better performances, in my opinion. 12 points goes to MALTAAAAAAAAAAAAAAAA …..
@Deven I have read your previous comment..well cool that you are smart enough to think about your future 😉 Good luck! Well I am from Yerevan the capital of Armenia 🙂 .. However I am not living there .I am part of Armenian Diaspora now haha 😛 but temporary. Thanks for that Armenian Guy. It really means a lot. 🙂 Whereabouts in Armenia are you from can I ask you? @ Deven. Your predictions change on an almost daily basis. LOL. One week its Armenia. One week it’s Ireland. Then its Sweden, Then it’s this country and that country.Now it’s the UK. Make up your god dam mind lol. You’ll have a new prediction by tomorrow. Yeah, It’s going to be hard work and I am going to working very hard over the summer in order to get it on the air in February/March 2015. I am ready to try it. You seem like a nice guy and all, but your kind of annoying on this website…nobody cares about Eirevision, it wont happen…if Ireland did win (which it wont) but if it did, RTE wouldnt get an amateur 16 year old to present the show, it would be one of their best known presenters, as for the national selection, RTE will continue using the Late Late show because they think it works for them. I dont mean to sound rude or whatever, but I am just realistic and saying what everyone else is thinking. Do you know what Cathair, I 100% agree with you. Greece have been quite vocal about sending songs to the contest that won’t win because they are in a very bad financial situation. Ireland on the other hand, who are also suffering with financial troubles, are anxious that they win it this year because of their last place result last year.If they win, I don’t think Ireland will win by a landslide and to be honest, I now think that they are going to struggle against the United Kingdom to win this year. VOTE FOR GREECE BECAUSE THE SONG IS SPLENDID AND AMAZING!!! !GOOD LUCK!!! Gooooooooooo Armenia ! ! ! From Greece 12 Points <3?